Today’s seniors are the Baby Boomers of yesterday – those born between 1945 and 1964 who were part of the post-World War II baby boom. In 2017, this group of people are between 53 to 72 years old and are either in the midst of their golden years or just approaching them. A staggering statistic affecting this group is soaring student loan debt. According to a report from the Government Accountability Office (GAO), over the last 10 years student loan debt in this age group has gone from $43 billion to $183 billion. The Baby Boomers were a group who seemed to take out their student loans while in their 30s and 40s to go back to school during their mid-career years – to get a Master’s Degree or to switch careers and get a different degree, for instance. These student loans are now decades old and with the borrower juggling a family, house payment, and car payments, a lot of these student loans are going into default. So not only is this group defaulting on their student loans, they could be falling behind on other loans which can negatively affect their FICO Score. FICO Score takes two different loan types into consideration when calculating your score – installment and revolving. According to myFICO, student loans are categorized as “installment loans” and credit cards are examples of “revolving loans.” Even though FICO Score weighs installment loan debt less heavily than revolving loan debt, making on-time student loan payments is still very important. That’s because payment history is the biggest part of your FICO Score – 35 percent to be exact. What does that mean to seniors with student loan debt? Not making on-time payments may cause your credit score to decline and quite possibly force this loan into default. Almost 4 of 10 borrowers over the age of 65 are in default on their student loans – the largest of any age group. The government’s response in trying to collect student loan debt is to garnish the borrowers Social Security benefits. As cited in the GAO report, 114,000 Americans have had their Social Security benefits reduced via garnishment for failure to pay off their student loan debt. This number is expected to rise as more baby boomers enter retirement with student loan debt. That means these people have less money each month to cover their bills – putting them at risk of late payments or missed payments on current debt. It is a domino effect when talking about how all of this will negatively affect one’s credit score and credit reports. To address this grievous epidemic, Senator Elizabeth Warren (D-MA) and Senator Claire McCaskill (D-MO) have co-sponsored a bill to end Social Security garnishment for student loans. But until that happens, there is something you can do if you are approaching retirement and you still have outstanding student loans and you don’t want to hurt your 3 bureau credit reports. To help seniors get their credit back on track, there are government sponsored repayment plans they can apply for to help them rebuild their payment history and lower their student loan debt. The Income Based Repayment Plan (IBR) is just one of four types of Income-Driven repayment plans offered by the U.S. Department of Education. To see all the plans, go to this document on the Studentaid.ed.gov website. Income Based Repayment is a plan based on your income and caps your required monthly payment at an amount found to be affordable based on your income and family size. Generally, for seniors, the family size is either one or two people. Here are a few more details. After you have determined this plan may be the one for you, here are some steps to follow to apply for the Income Based Repayment plan. Fill out the information on the repayment estimator to verify you qualify and how much your payment is likely to be. Contact your lender or loan servicer and tell them you are on Social Security and you want to apply for an Income-Driven repayment plan. If your Social Security payment is currently being garnished, you will need to tell them. Obtain an application for the Income Based Repayment plan from your loan servicer – fill it out and send it in. Review this Q & A document which addresses all the Income-Driven Repayment Plans. If your Social Security is currently being garnished, it may take 30 to 60 days for the loan servicer to stop them. That is why is it best to file your application for Income Based Repayment before your Social Security is garnished. Staggering student loan debt is not just affecting younger Americans, it is also affecting our senior citizens. And, student loan debt can play a factor in determining your FICO Score. Late payments and loan default can cause the biggest credit score drop. 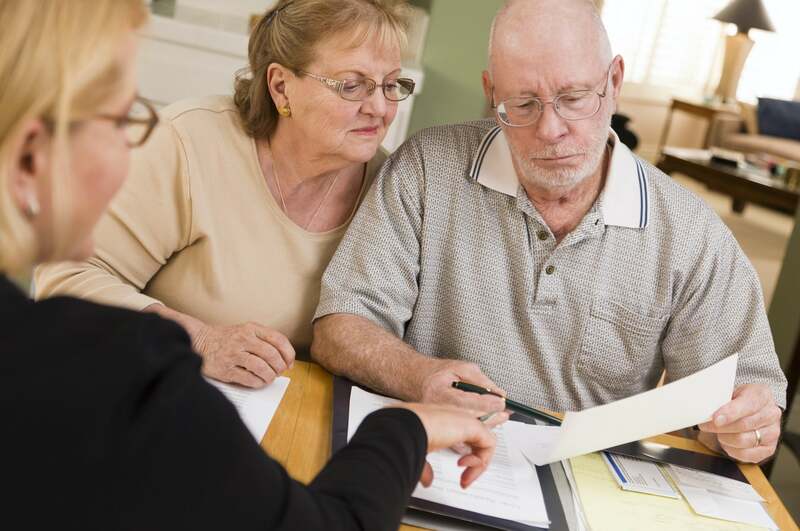 Add to that a Social Security garnishment of up to 15 percent of a senior’s monthly check, and now you have less income to cover your monthly expenses. These garnishments will force those hovering just above the poverty line to fall below it, severely affecting their lifestyle and their credit. While fixing this problem will require lawmakers to adjust Social Security’s garnishment provisions, that may take some time. In the interim, people who find themselves approaching retirement age, or those already retired, who have outstanding student loan debt, should see if an Income-Based Repayment Plan can help them arrange payments before garnishment begins. This will not only improve their credit score but it will help the person with a fixed income be able to adjust their monthly spending so they don’t fall behind on any other payments that could hurt their credit score. You can also ask us questions on our social media platforms like Facebook or leave us a tweet on Twitter. This entry was posted in Loans and tagged Credit Score, FICO, student loans. Bookmark the permalink.